Last night a few of the Real Housewives of Atlanta stars (past and present) headed over to celebrate a new season with the cast of Growing Up Hip Hop Atlanta. Kenya Moore and Porsha Williams have come a long way, baby. The two pregnant former enemies laughed it up together and posed for photos, showing off their baby bumps. It’s really too bad we won’t see dueling baby showers and more on the new season of The Real Housewives of Atlanta! Also at the party: Cynthia Bailey, Eva Marcille, Trina Braxon, Towanda Braxton and more! Check out the photos in the gallery below! Growing Up Hip Hop Atlanta kicks off on October 11th. Happy Pre-Friday! 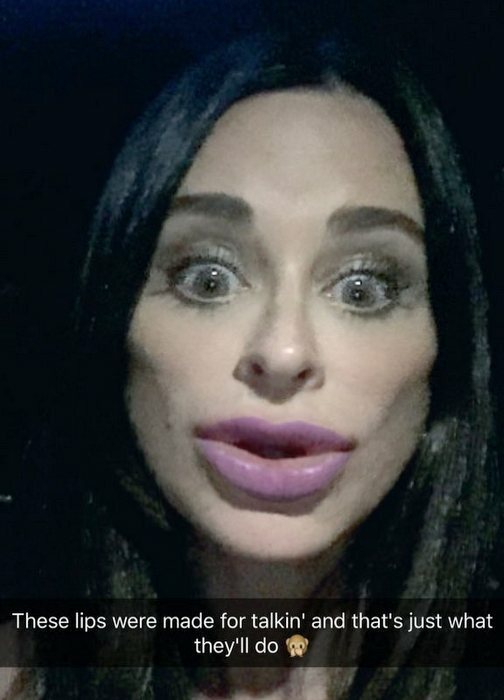 We have some more reality star sightings for you this week. WEtv celebrated the new season of Braxton Family Values on Monday night and the party attracted a slew of former Bravolebrities who came to hang out with Traci Braxton and others! 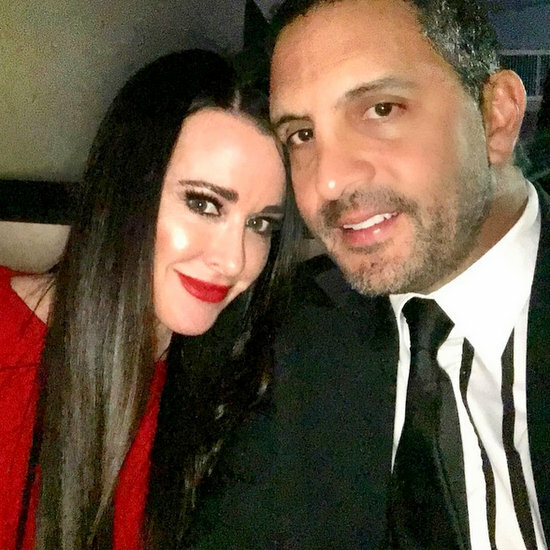 Rich Wakile, Kathy Wakile, Kelly Bensimon and Phaedra Parks were just a few of the former Real Housewives stars who turned up for the event. Current RHONJ cast member Danielle Staub and her daughter Jillian were also there. Is it just me or does it look like Danielle had a little something done? Or is just makeup? Kim Kardashian continued to get press attention this week as she attended the Christie’s x What Goes Around Comes Around 25th Anniversary Auction in Beverly Hills. Kim was wearing sunglasses the entire night – indoors – and carrying a bedazzled french fry bag that cost $6,000. Check out the newest reality star sighting photos below! Also, what is going on with Simon Cowell? He looks a little rough, right? 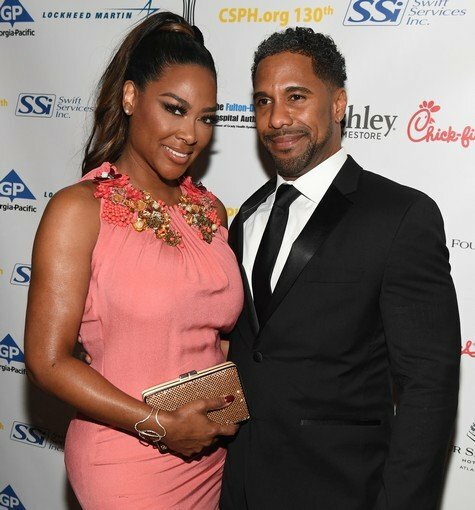 In our latest reality star photo roundup, we have Kenya Moore and Marc Daly attending the Carrie Steele-Pitts Home 130th Anniversary Gala at Four Seasons Hotel in Atlanta. Newly engaged (and possibly pregnant) Joanna Krupa stepped out to grab lunch with her friends in L.A., showing off her engagement ring. Kathy Wakile stopped by the Sirius XM studios to chat about her new restaurant, Pizza Love. Also stopping by Sirius XM was Erika Jayne. The Real Housewives of Beverly Hills star hung out with Jenny McCarthy while promoting her new book, Pretty Mess. Kim Kardashian, Kanye West and Kendall Jenner were seen doing some photo ops at March for Our Lives events over the weekend. The Jersey Shore gang were reunited at a premiere screening event for their new family reunion series. See these and more reality star photos below in our new gallery! Happy Wednesday! Let’s see what the reality stars are up today! Erika Jayne is back from Miami and hanging on the red carpet at the premiere of Neighbors 2, Camille Grammer was spotted with her kids at the Angry Birds premiere and Kim Kardashian invaded Cannes. Kim, Kris Jenner, Kendall Jenner and Scott Disick are hanging out in Cannes during the film festival. We’re not quite sure why, but there they are. We feel sorry for the guy who had to walk behind Kim, holding her dress. Best or worst job? The Braxton sisters: Traci, Towanda and Trina were photographed hanging out at the AOL Build Series. Dance Moms star JoJo Siwa celebrated her birthday with her co-stars with an 80’s-themed party in Hollywood. Dancing with the Stars pairs Val Chmerkovskiy and Ginger Zee hung out with Peta Murgatroyd and Nyle DiMarco at the Semi-Finals celebration. Below you will find photos from Kenya Moore, Courtney Stodden, Adam Levine, Kathryn Edwards, Ramona Singer, Charrisse Jordan, and more. Happy Monday! Let’s kick off the week with an all new reality TV stars photo roundup! First up, The Real Housewives of Orange County star Heather Dubrow and Dr. Terry Dubrow had a little fun in Vegas together. The couple partied at Surrender Nightclub in Encore at Wynn Las Vegas. Former Real Housewives of Atlanta star Demetria McKinney attended The Real Love Music Experience at Scales 925 Restaurant. Mob Wives stars Renee Graziano and Karen Gravano stopped by Extra studios in Times Square. Khloe Kardashian celebrated the birthdays of Malika and Khadijah Haqq at 1 Oak Nightclub inside The Mirage. Real Housewives of Potomac star Gizelle Bryant attended the BET Honors 2016, along with Traci Braxton, Towanda Braxton and Toni Braxton. Check out these and many more reality star pics below!